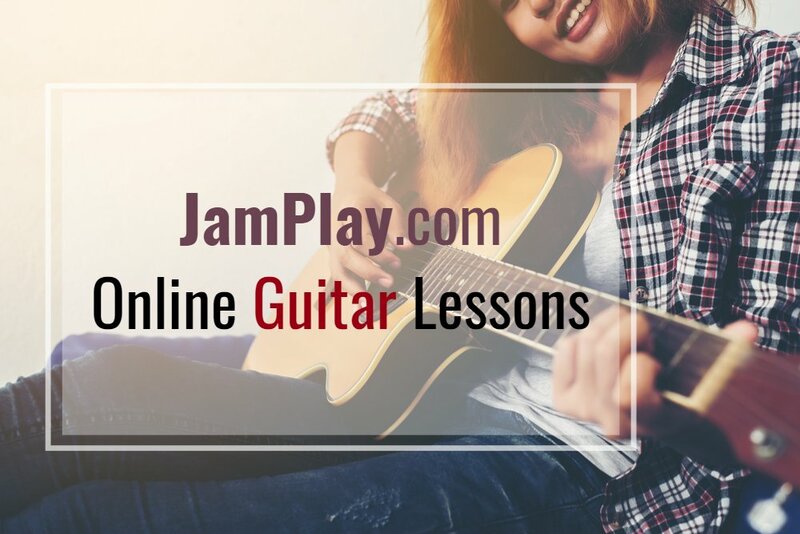 JamPlay has spent more than a decade building a great reputation as one of the best places to get good-quality guitar lessons online. This site distinguishes itself by offering something for everyone including special lessons just for kids. With a separate membership, it’s even possible to get online bass lessons. There are two distinct beginners courses – one geared toward acoustic players, and the other geared toward electric guitar players, so members can get started on the right foot no matter what their preference. While it’s possible to join for free, the free membership is limited to a period of seven days, which gives you the opportunity to take a look at the entire site. Most other sites require payment before providing full access, but at the same time, they offer refunds in case users are dissatisfied after a certain point. JamPlay also offers refunds, so it’s as risk-free as other sites plus you get full access before fully opting in. So, is JamPlay worth the money? We signed up and took some lessons, plus we spent hours browsing the site and looking into the JamPlay apps, all to determine whether these online guitar lessons are all they’re cracked up to be. JamPlay offers more instructors than you’ll find at most other sites – there were 89 available when we visited last. All instructors are experts with impressive bios, and many are well-known performers. What’s the lesson format like? While some sites offer just one set of lessons for everyone, JamPlay provides lots of options. If you do sign up, it’s a good idea to avoid overwhelm by spending some time looking at what’s available in the areas you’re interested in. For example, clicking on “beginner lessons” for acoustic guitar brings up a list of instructors. Take a few minutes to explore so that you can find someone with a personality and style that appeals to you. In general, JamPlay guitar lessons last anywhere from two minutes to an hour, depending on the topic. They’re filmed in HD with multiple cameras to capture different angles and provide students with tight close-up shots of the instructor’s hands. There’s even a shot that shows how your hands should look from your own view as you work on your lesson, so it’s easy to imitate the instructor. Lessons come complete with interactive tabs that include audio playback, with no added web plugins required so you can enjoy your lessons on the device of your choice. These tabs let you slow down playback while maintaining pitch, and they are printable, so you can use them in offline practice session. As you might expect with the impressive lineup of instructors, everyone is quite personable and it’s a lot of fun to take lessons from some of music’s greatest performers. Don’t be surprised if you find yourself feeling just a little bit addicted and looking forward to your next lesson! It’s worth noting that live courses are available as well, with streamed lessons designed to teach subscribers a particular style or skillset. You’ll need to check the schedule to see what’s happening, when, but in many cases, live streaming classes are available five days per week. These classes are archived for easy availability in the event that you miss one or sign in late. What if I already have some guitar skills? JamPlay is a great place to learn more. If you want to build on what you already know and improve yourself as a performer, then you’re going to like what you find. Advanced lessons from well-known artists can help you reach new heights without worrying about outpacing your instructors, and there so many great resources that you’ll never run out of things to focus on. It’s worth noting that JamPlay is updated on a weekly basis. The company operate three studios where an average of five new lessons are filmed, edited, and published each week. Instructors offer a wide range of perspectives and techniques so there’s always something new to discover, making it unlikely that you’ll plateau if you keep on practicing. What music styles / genres are covered? What is the practice schedule like? You can practice your guitar as much or as little as you like – but we think that with all these features, you’re going to want to spend quite a bit of time working on your skills. The suggested learning path starts with beginner lessons, takes you into genre lessons, and then moves you into song lessons. You can move at your own pace. Once you get to the third phase, you’ll be ready to make some serious music. JamPlay teachers take song requests, so it’s a good idea to plan ahead and think about what you’d like to learn! Online guitar classes are getting better and better as time passes. JamPlay has made quite a few improvements over the past few years, and now offers its live courses in 4K, broadcast in 1080p for excellent quality. The 360+ songs have been filmed with 5HD cameras in a professional studio setting, as have many of the newest lessons. Older video lessons are a little less impressive but useful nevertheless. Overall, the sound and images are smooth and crisp, plus there’s a built in continuous play loop so that you can keep on practicing without interruption. JamPlay works on just about any device you can think of including PCs, Macs, iPhones and iPads, Android tablets and phones, Amazon’s Kindle Fire, and many more. The company states that its content isn’t yet compatible with Roku, but this should become available at a later date. The site has an attractive appearance, and all content is highly organized. It’s clear that the company takes great pride in every one of the features, and this attention to detail makes JamPlay a pure pleasure to use. Customer support is easy to reach via phone on weekdays and email 7 days/week. From our experience, it appears that this company goes to great lengths to fix issues, answer questions, and ensure that its users are satisfied. What is included with a JamPlay membership? You get quite a bit when you sign up for a free JamPlay membership, including some nice basics to help you get started without ever making an investment. Everyone who signs up gets a free 7-day trial that includes all the site’s features, making it very easy to determine whether these online guitar lessons are the right ones for you. Many users have been here for years improving their skills – even some pros maintain memberships as they like to learn new techniques and pass those on to their own students. Free tools found on JamPlay include a metronome, an online guitar tuner, and an online bass tuner. Fun quizzes and games help you learn and retain information while competing with other community members. Speaking of community, this one is great – there are live Q/A sessions with instructors each day. Whenever you log on, you can find something interesting to learn! JamPlay’s Facebook page is full of free pointers, plus it’s a great place to interact with others who share your interest in learning great guitar techniques. The company also offers mobile apps for iOS and Android, plus an Amazon Kindle app for those who prefer it. We did find a couple of downsides to JamPlay – but in the big scheme of things, they are pretty minor. First, the song list is limited – but there are more than enough songs to help you get started and build your skills, and new content is added frequently. Also, instructors take song requests so if there’s something specific that you’d like to work on, you can ask. The second issue is this: Where some other sites include downloadable lessons as part of membership, JamPlay requires its users to buy downloads at $3/lesson. This doesn’t mean you have to pay to watch and use the individual lessons online as much as you like, simply that you must use “ownership credits” to download and keep the lessons even if you decide to end your membership at some point. Considering the fact that professional instructors charge at least $20/half hour and often much more than that, this seems more than reasonable – but we’d be remiss if we didn’t mention it. Upgraded membership packages come with some ownership credits, increasing affordability for those who prefer to download their favorite lessons for offline use. Overall, JamPlay offers excellent quality for the money. With monthly memberships costing less than the price of a single in-person lesson, you get an outstanding value, particularly if you’re someone who plans to practice a lot. It’s a fantastic site with loads of content and quite an impressive lineup of renowned instructors. Best of luck with your online guitar lessons – no matter where you take them!